Brain aneurysm surgery is intricate surgery. It can take many hours, depending on the type of procedure required. 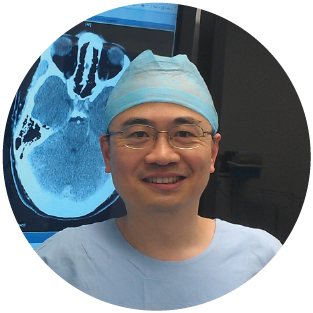 All neurovascular surgical procedures are performed using miniaturized fine instruments and a state-of-the-art neurosurgical microscope. Surgery is performed to the highest standards. real-time ICG angiography – ICG angiography allows surgeons to perform an angiogram during surgery, check on the progress of the surgery and then make ‘real-time’ decisions – as opposed to take an angiogram back to the theatre and re-operating on the patient if necessary. The approach and decision-making about every single case is personalized. 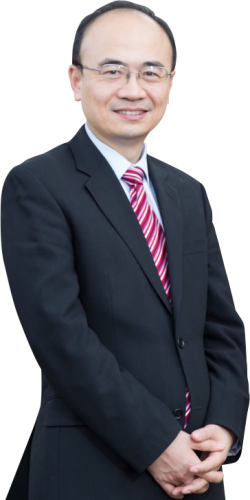 So when it comes to make decision about your surgery, Dr Yang will consider your case as a whole and deliver a personal approach to your neurovascular condition and being right there with you from start to finish. Preoperative angiogram showed a large middle cerebral artery aneurysm. 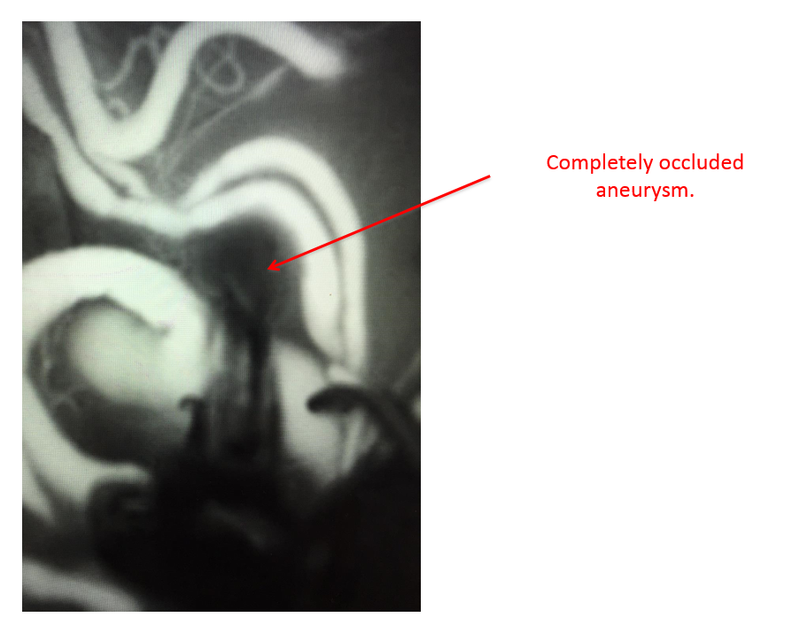 The aneurysm is completely occluded and not visible on ICG angiogram. Intraoperative ICG angiogram provides a real-time assessment of surgical outcome and reduces risks of a residual aneurysm. 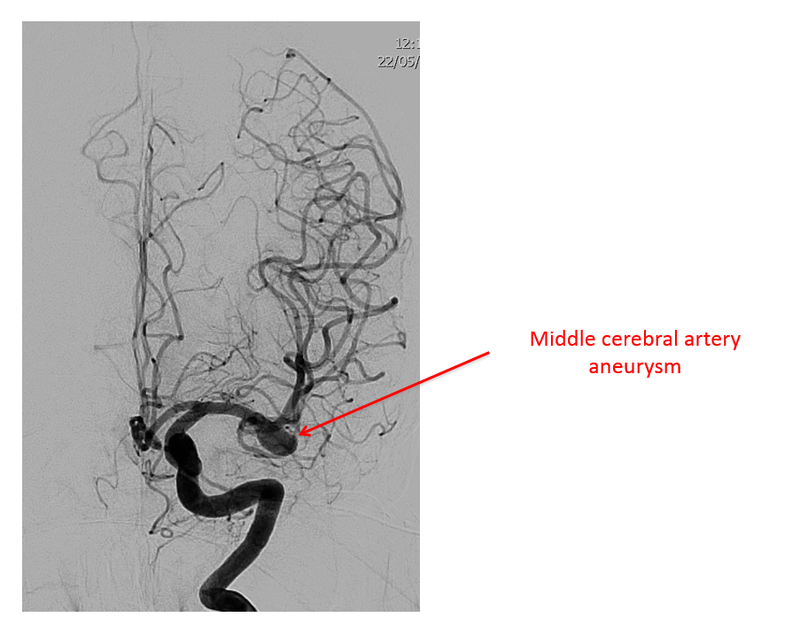 Preoperative angiogram showed a large middle cerebral artery aneurysm. 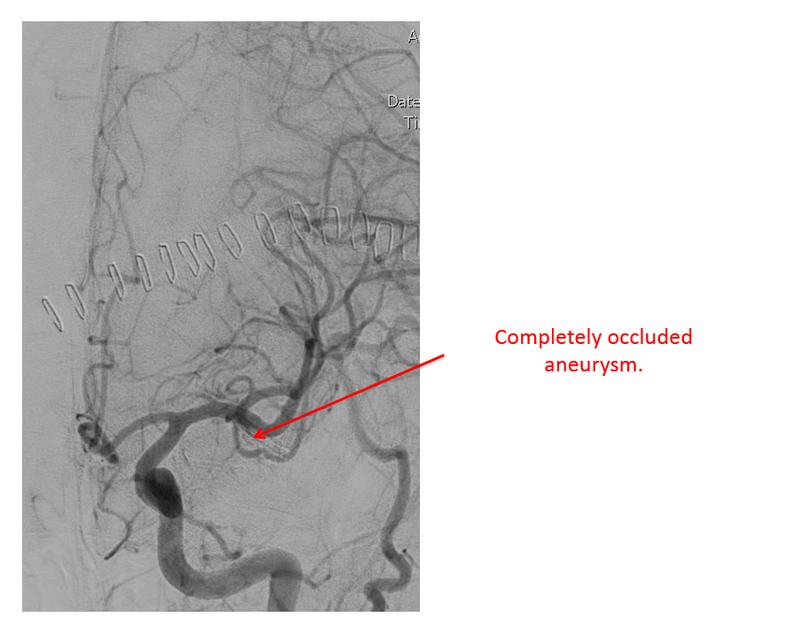 This aneurysm was completely occluded, which was confirmed on postoperative angiogram.